GamersOrigin secured the Ligue Française de League of Legends regular season second place thanks to its success against Rog Esport in a tie-breaker game. We won 9 matches and encountered 5 losses in the LFL first split. GamersOrigin first playoff match will be the semifinal, held on April 2nd, against Rog or the winner of the Vitality Bee – Misfits game. Our primary goal remains, of course, the qualification for the final, to have both a chance to overcome LDLC and to claim a domestic title and to enter the next European Masters, a competition that GamersOrigin values a lot. To do so, we just have to win our first BO5 on April 2nd. If GamersOrigin claims the LFL title, we will directly enter the European Masters Main event. In case of a loss against the Foxes, we will have to go through the Play-In beside the other second-ranked teams of the 7 majors regional leagues. 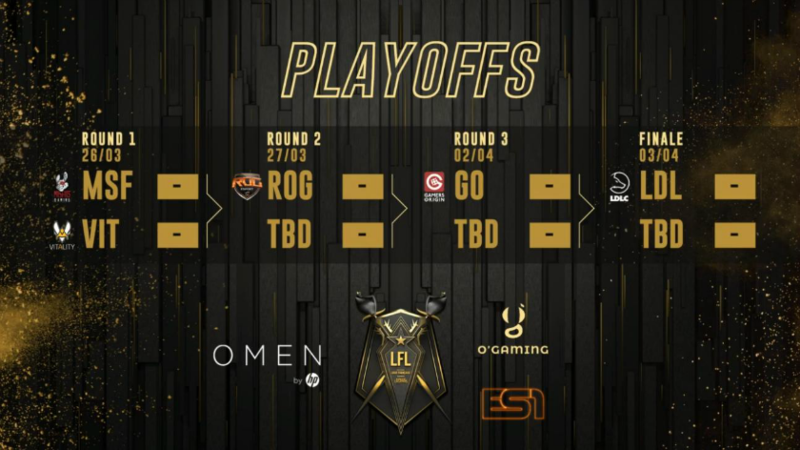 GamersOrigin is entering the LFL playoffs on April 2nd #GOWIN. Next Next post: Reynor is going to L.A.